We know that if you need gas plumbing task completed you want to make sure that it is carried out by experts with the correct training and equipment. You can be confident that we fully understand gas services and will keep your family safe from harm. We provide a reliable service and always aim to be with you as soon as possible, for your convenience and safety. 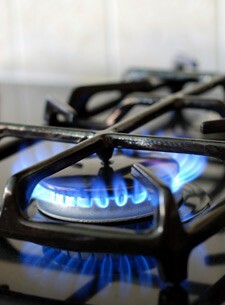 Gas safety is extremely important, so we provide a round the clock emergency call out service in the Nottingham area. As professional plumbers we will be with you as a matter of urgency to ensure that you are protected from any danger. We are fully trained on gas safety, all gas and other plumbing services. As part of a friendly, reliable service we do not charge call out fees. Even when you have had your gas appliances serviced regularly they can still break down, usually at the most inconvenient time. For a fast response to your gas plumbing needs in Nottingham call us on 0115 815 7281 to see how we can help.